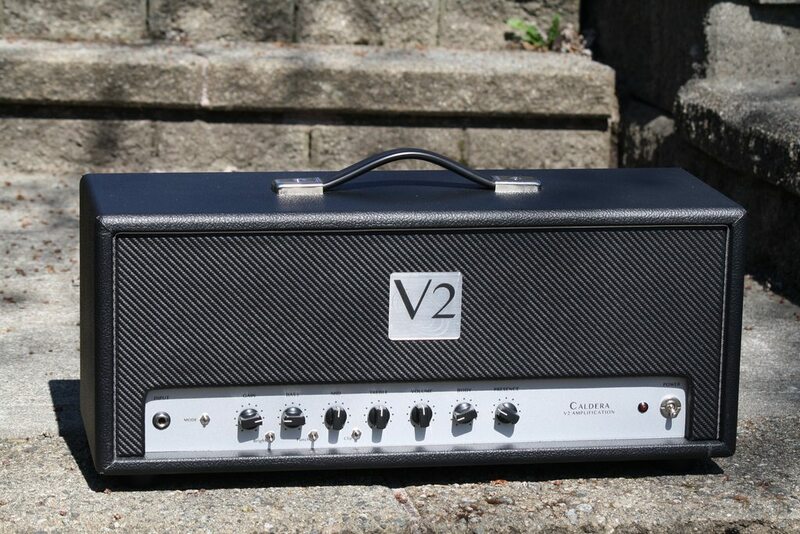 Single-channel higher-gain amp with vintage and modern modes. It maintains clarity and articulation even at higher gain settings. - 2 JJ 6V6S, fixed bias with individual bias monitoring and adjustment for each power tube. - 3 hand-selected 12AX7s for the preamp and phase inverter. - Gain, Volume (Master), Treble, Mid, Bass, and Presence. - Bright switch adds high end with Gain is rolled back. - "Cali Clipper" switch engages a diode clipping circuit to add distortion and saturation. Similar to Friedman SAT switch. - Fat switch to tailer the low-end when in modern mode. - space for a buffered effects loop. - top-quality components including custom Heyboer power and output transformers, Hammond choke, F&T filter capacitors, Mallory caps, Alpha potentiometers, etc. - Low-noise DC heaters for all 12AX7 tubes. US$1200 + actual shipping costs. Effects Loop may be added for additional cost ($150). bump with lower price $1100 plus shipping. Want to pound a pink taco? This is the PT Pounder (PTP20)!